MVC (Model – View – Controller) is new web development design from Microsoft. MVC is mordern, powerful and a promising platform. It’s built upon microsoft’s asp.net frmamework. 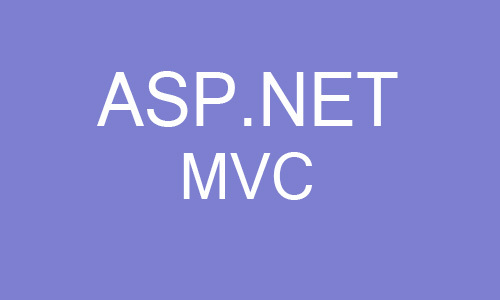 Means mvc provides every feature that asp.net provides. This article will help in your search of good asp.net MVC books. Beginning ASP.NET MVC 4 : By Apress, Beginning ASP.NET MVC 4 is aimed for beginner developers. This book is on older version of MVC framework. Now asp.net MVC 5 is released. But for beginning and learning the basic asp.net MVC framework, this book works good. The book explains the concept of MVC 4 in very easy to understand way. There is no very higher level details as the book is targeted for beginner level developers. The book has a walk through example application so readers can make an application while learning, although readers can get confused at some places in walkthroughs but that’s an easy fix. Pro ASP.NET MVC 5 : Also by Apress, Pro ASP.NET MVC 5 is for advanced users as well as for those who have some knowlwdge of web development. The book have two sections. First section gives Introduction of MVC 5 with details of how real world applications are made. It also gives some knowledge of Domain-driven design (DDD) and Unit Testing. This section has two example application with industry level design. One of the example project is Sports Store application which uses industry level design like DDD, Dependency Injection (DI), Unit Testing of application with mock repository. It uses Ninject and Moq for DI and Mock repository respectively. Second section gives in depth details of MVC 5. Professional ASP.NET MVC 5 : Provided by Wrox, Professional Asp.Net MVC 5 is a nice book that covers new MVC 5. The books aims both, beginners as well as experienced developers. This book explains the every core and new features of mvc 5. The book has total 17 chapters. Readers can understand the detailed concept of mvc 5 by making a music store application with the book. The last chapter is on making a real world application: Building the NuGet.org website.In this edition they have added a new chapter on single page applications with angularJS. This book could be a good study material if you are planning to give Microsoft’s 70-486 exam. Programming ASP.NET MVC 4 : By O’Reilly, This book is for both beginners and intermediate or advanced application developers. Same as other books this book covers every concept of MVC 4. Newer version is not yet available. This book also gives information on mobile web development with asp.net MVC 4. With this book readers can build a real world like auction web application (named EBuy) while reading this book. Developing ASP.NET MVC 4 Web Applications, Exam Ref 70-486 : This book is official study material for developers who are planning to take Microsoft’s 70-486 certification exam. This book presents all the concepts of ASP.NET MVC 4. It covers the high level concepts, so if you are a beginner, then first you have to read any beginner level book discussed above. Technical book depends on your requirement. It depends how much you know about the subject and what more you want to learn. Above i have discussed about the asp.net MVC books available for developers seeking to learn and master Asp.Net MVC. Many of these books are for beginners as well as advanced users. If you have to say anything , feel free to comment.